SALE! now $75, originally $135. Vintage antique “VOV” Italian poster, dated 1922. 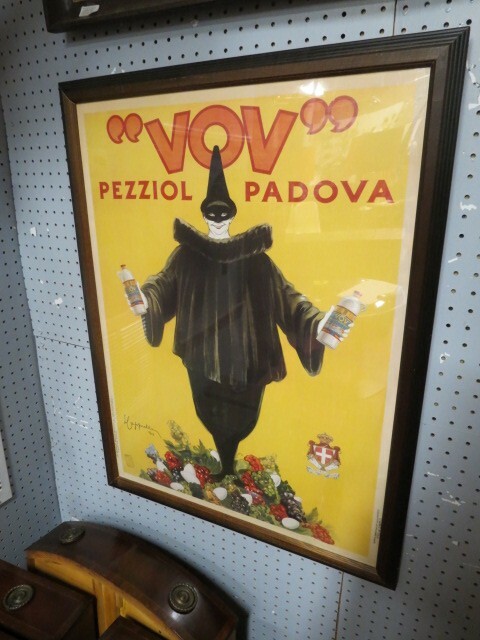 Bright food related poster of a clown with VOV Italian liquer bottles in his hands. Nice bright yellow background with red lettering. Framed in a simple brown wood. Would look great in your kitchen! Excellent condition. Measures 26.25” across, 34.25” tall, and .75” deep.